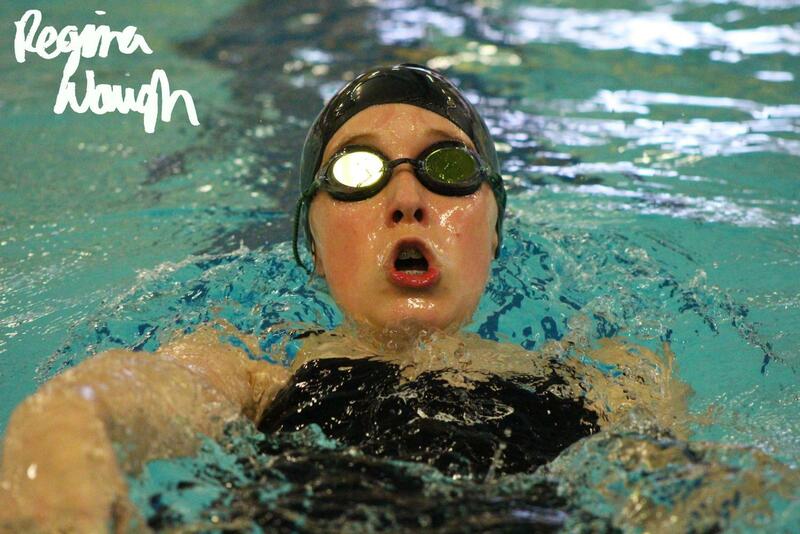 Sophomore Breanna Mehringer coming to the surface of the water after a flip turn. 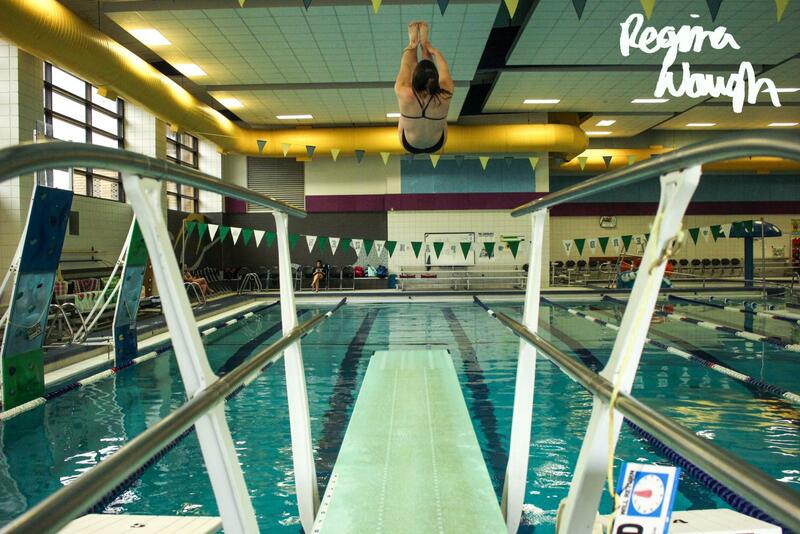 Freshman Sophia DiGregorio dives at the Derby home swim meet. 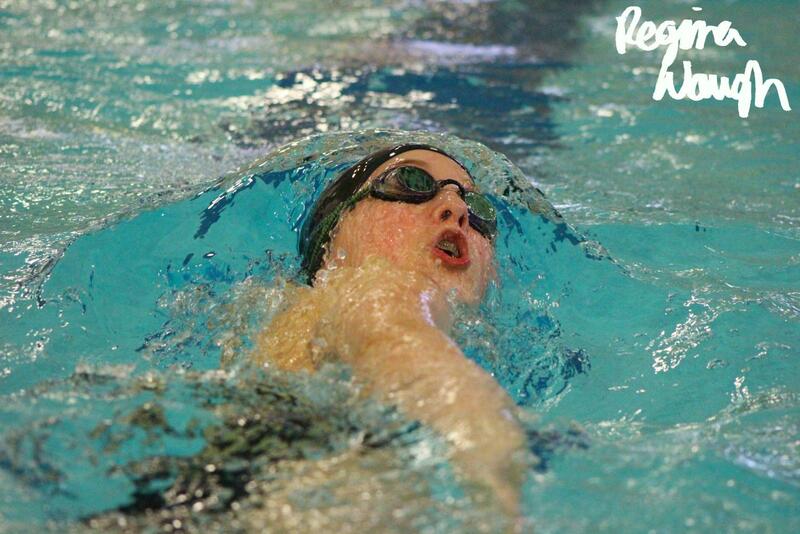 Freshman Alexis Pitts swims in the 100 yard backstroke at the Derby home swim meet. 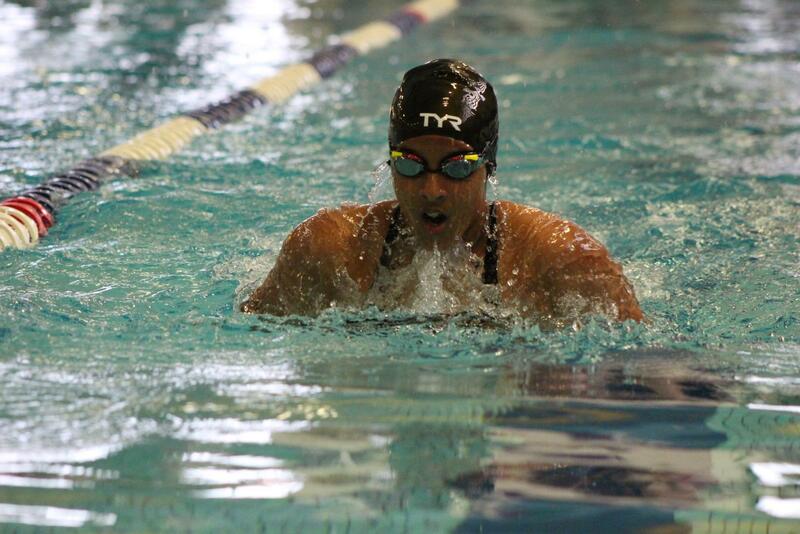 Freshman Heily Monge swims in the 100 yard breaststroke. 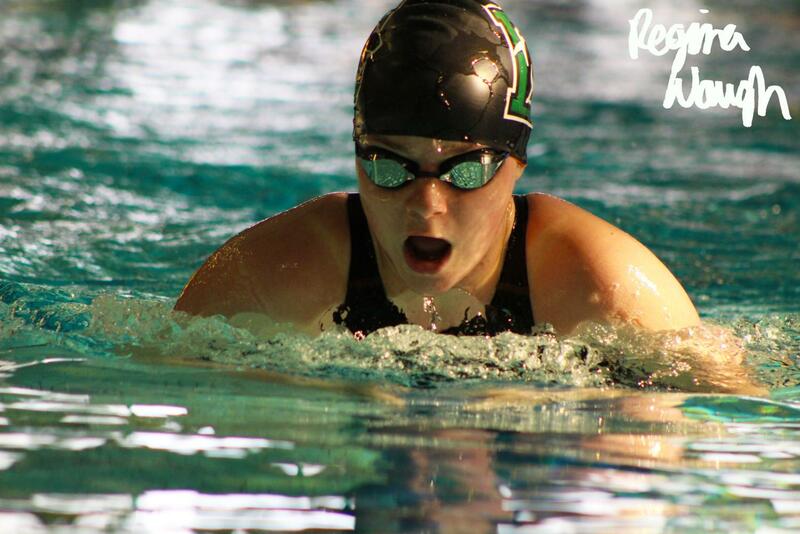 Senior Ashlee Henwood inhales while swimming breaststroke. 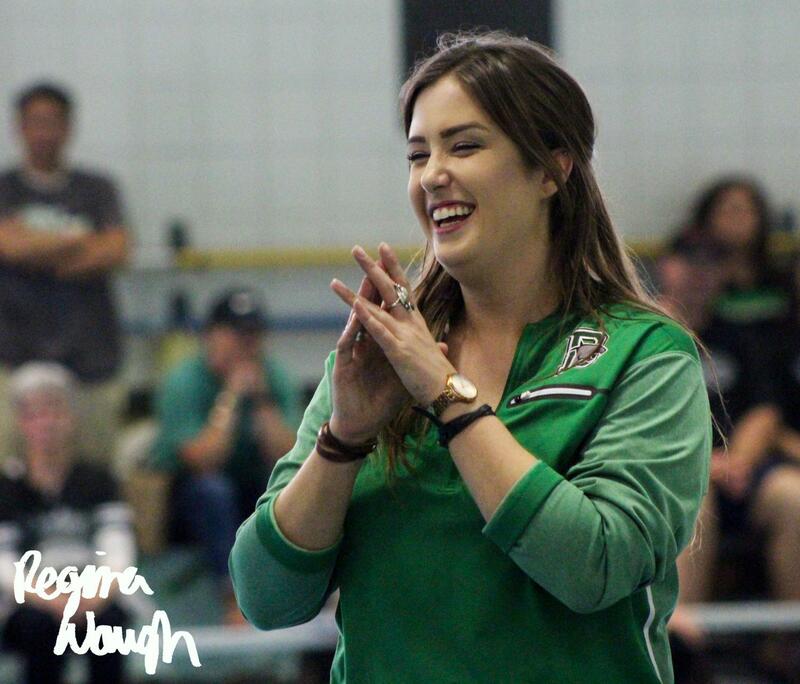 Coach Bronwynne Queen smiles during senior night. 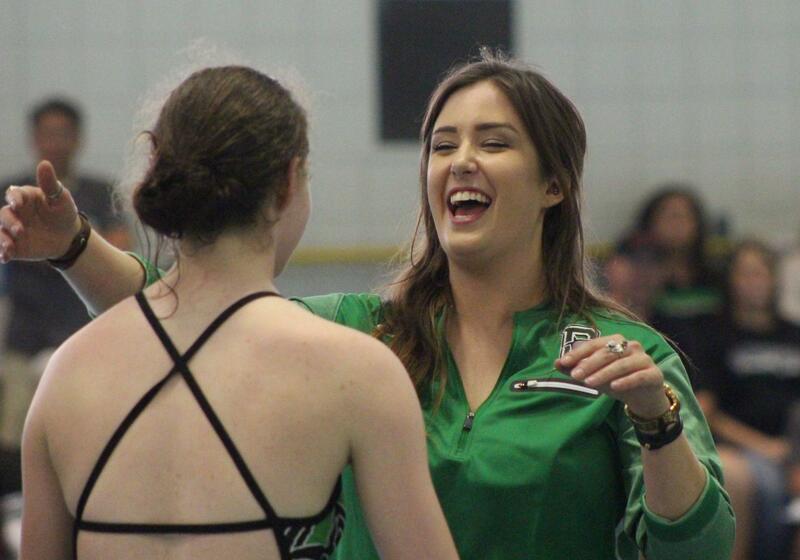 Coach Queen welcomes graduating junior Ashely Lindstrom into a hug while laughing about her favorite swim memory. 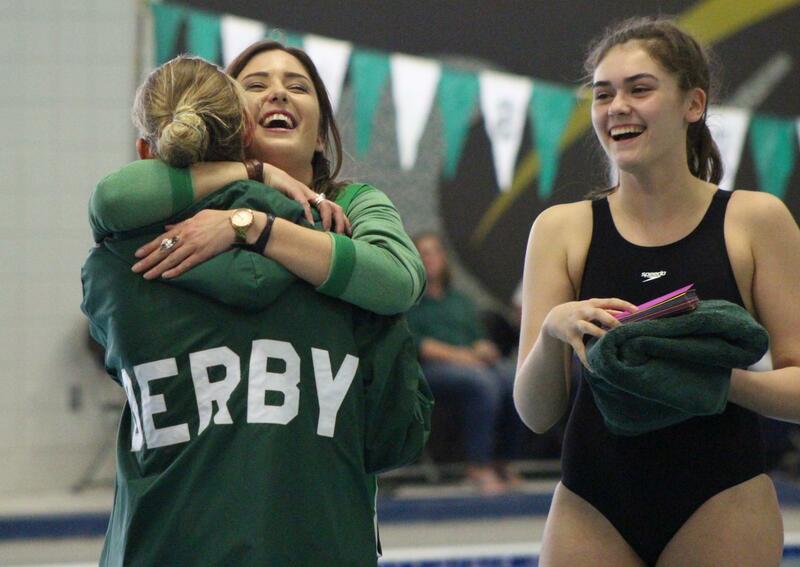 Coach Queen hugs senior Shayna Mitchell while freshman Alexis Pitts laughs. 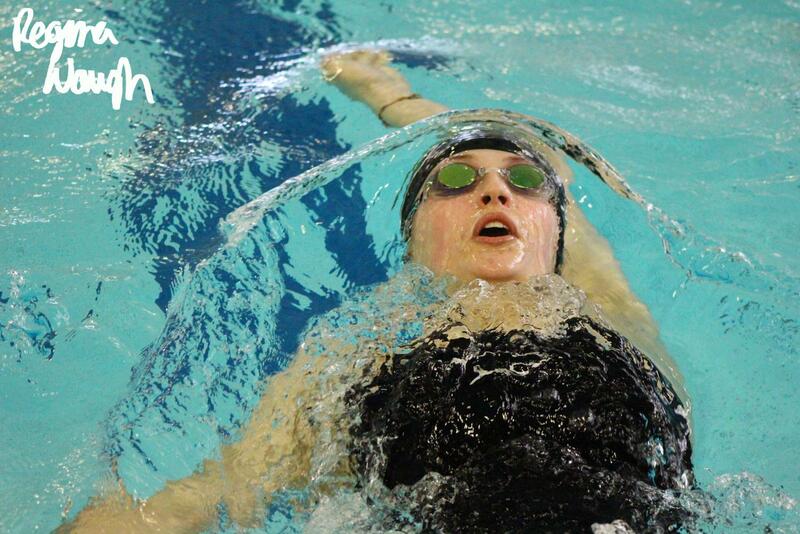 Junior Clayton Simmons with his swim themed promposal for sophomore Presley Brunecz. 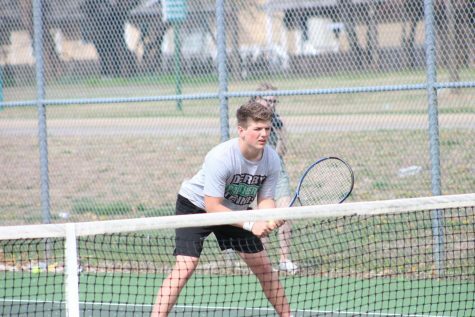 Sophomore Presley Brunecz, junior Ashley Lindstrom, sophomores Kaitlyn Strobel and Sadie Svymbersky cheer on their teammate. 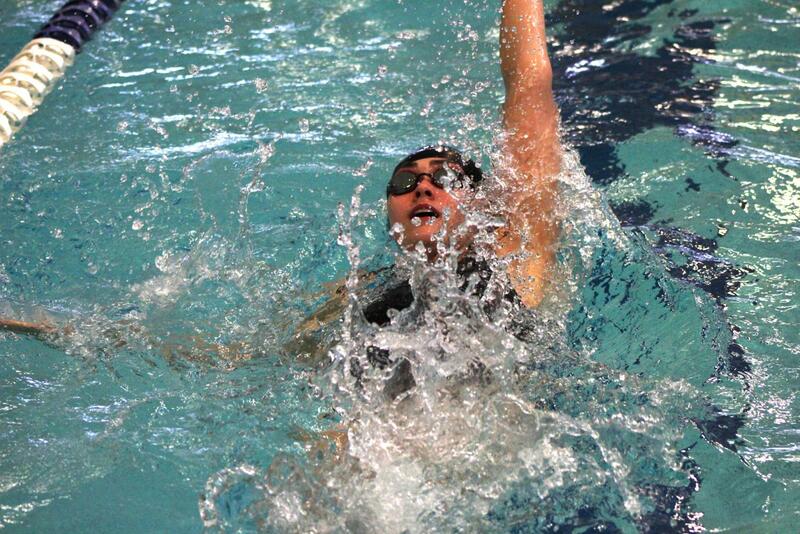 Sophomore Addi Karsak coming up to the surface of the water while swimming backstroke. 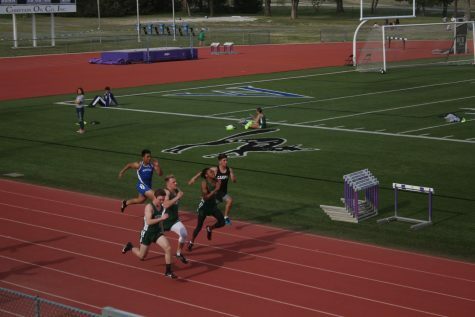 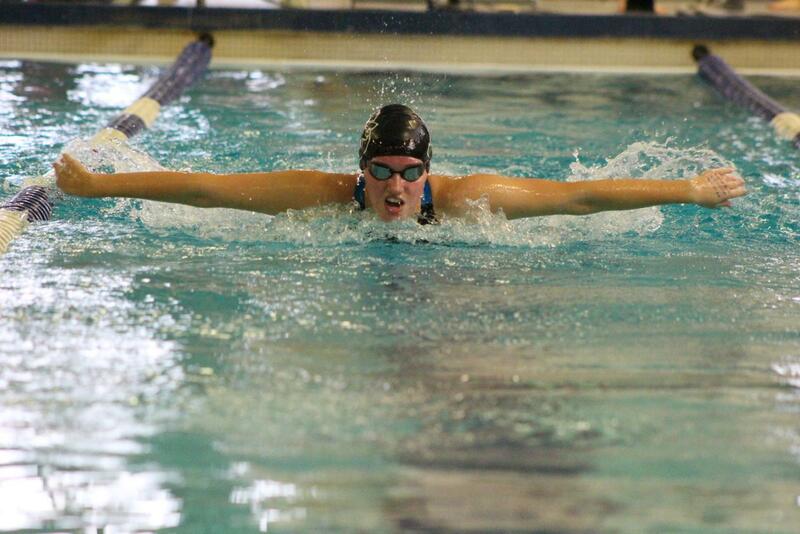 Sophomore Addi Karsak breathing after a flip turn. 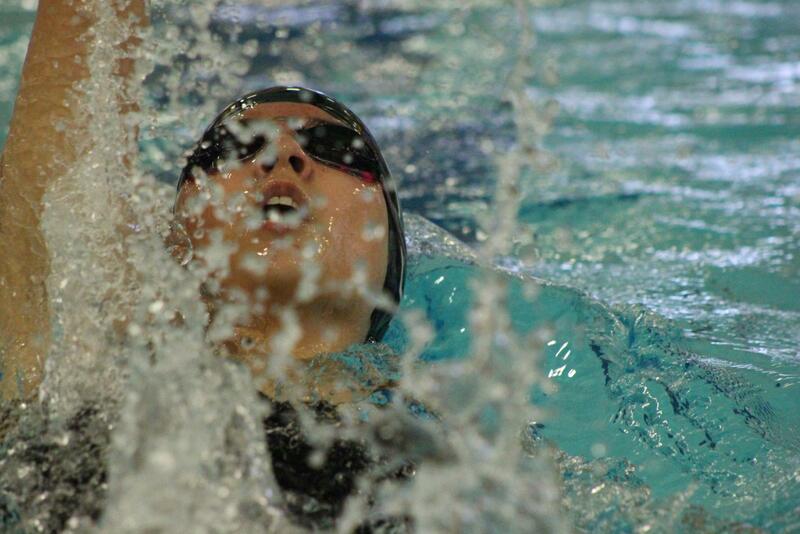 Junior Alyssa Gamboa swimming backstroke. 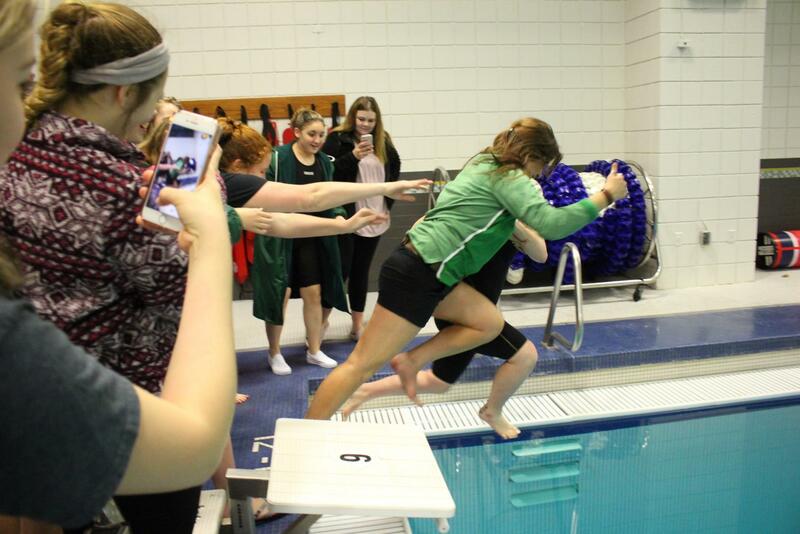 The girls swim team pushes Coach Queen into the pool. 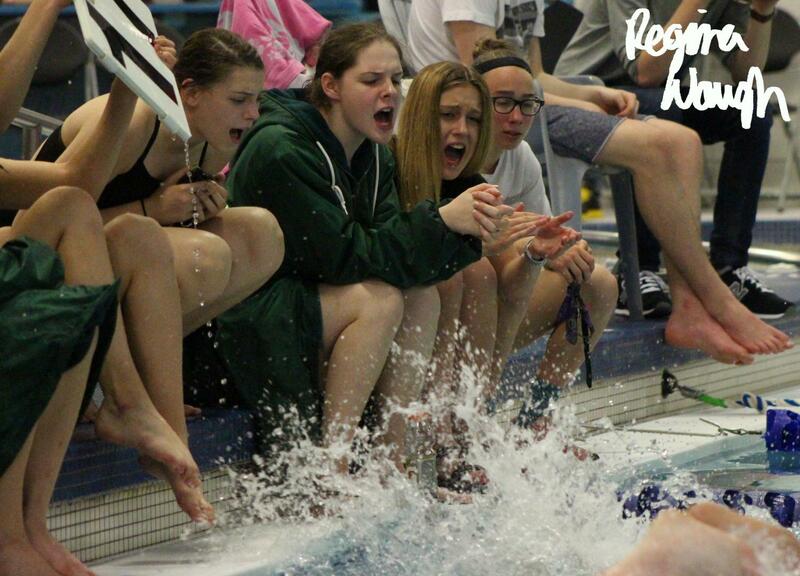 It is a tradition to throw Queen into the pool if they win first place at the home meet. 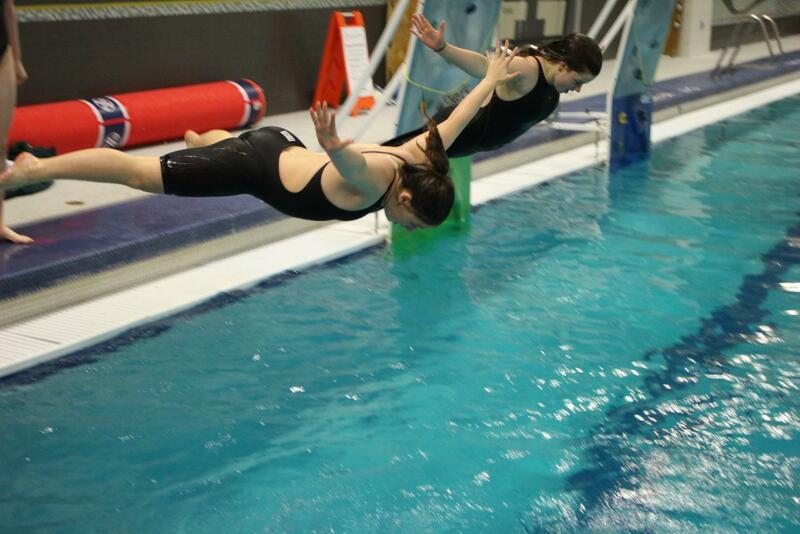 Sophomore Sophia Digregorio and senior Ashley Henwood bellyflop into the pool in celebration after the team won first place.